Vasthu:- India, the land of Karma, in Sanskrit it is called as “Karma Bhoomi” or "Karma Bhumi", ancient literature contains the more information about Palaces, forts, city called to be as Nagars or Raja Praasadhas and House planning. In olden days agriculture is the main source of Income and it’s an official occupation of earlier civilization. In India, agriculture was considered to be the most respectable and dependable profession or major occupation. The vasthu principles thus need to be adapted in the modern context, where the focus has shifted from agriculture to Industrial and commercial establishments as a major source of earning the families. In the modern text, it is important to understand the essence of this Vastu Shastra science and its fundamental principles. This subject takes into cognizance the various energies around us and helps in bringing a balance between our inner and outer spaces. This subject becomes slowly an integral part of modern architecture. Our ancient sages arrived at certain basic thumb rules that defined the comfort, prosperity, contentment and happiness of the residents of the Home based on Vastu structures. In our e-books (Telugu Language Bedroom Vastu) we have clearly informed that the application time and Vastu Results, many residents praised us after reading this Results page. TIME is very much important in Vasthu. Every day a man spends less or more 8 hours in his bedroom. 8 hours in other portion of his dream home, and remaining 8 hours he may be in outside like shop, office, Factory, school, teaching center etc, the above calculations may be little bit changed like 7 hours or maybe 9 hours in some cases, but these are all approximate timings. Residents develop their family life and the next generation within the four walls of his residence. A Home or a shelter, thus, becomes a vital part of the very vital process of Living. Spatially, shelter is the largest single user of land in an Urban Environment. In terms of financing and the application of human resources, shelter probably is the largest single item of investment. Not only does shelter represent an enormous economic activity, but its socio-psychological effect on human welfare also has never really been measured. Shelter, therefore, rightly fins a place of great importance in any planning exercise. There is a great quality difference between rural shelter and urban shelter. One common factor in all these codes is that every cultivator, agricultural laborer, and village artisan is entitled to a free House site in the village habitation. Basically, the entitlement to a free house site means that every villager, whether he is a landowner or using the site for rent or etc is given the opportunity to build his own shelter which he then owns as a right. The pattern of habitation in a village is that almost all houses are owner-built and self-occupied. Shelter design tends to be traditional and the building materials used are those that are locally available. Thus, timber, bamboo, mud and locally excavated stones, brick, and tiles fired by the local potter are the main building materials and their use provides employment to local artisan. There has, of course, been some change at the upper-income levels, in villages, with modern building materials, substitution the local. Much of village housing is still built of mud and even where more permanent materials are used., mortar and plaster still tend to be of local clay. Because the material used is affected by moisture and wind action, the houses have to be kept under constant maintenance. The renewal of mud and dung plaster and flooring is an on-going village exercise, with the women, fold acting as the principal agents of renewal and maintenance of housing. Such constant maintenance is possible because materials are available free of cost and there is an incentive to keep the structure in good order because it is owner-occupied. Traditional village architecture has evolved over centuries to suit the local climate condition and whilst much of village housing would be unacceptable to the architect trained in modern techniques, it certainly serves a strongly utilitarian purpose in the village environment. The structures in the village, structures in a town is different. Based on village people economical or financial conditions they built the houses in their own style. Even today also in most of the villages, the villages are using the clay, mud for walls. Not only in India, in many countries, but this science also become most popular. 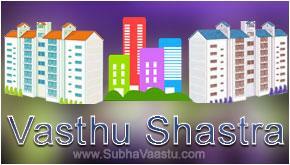 For example without Vastu Consultant in Usa online guidance, no Indian resident is interested to buy homes in the USA. If this subject is not working, why the majority of residents following this science from more than decades. Thousands of years back this word Vasthu was heard through our Indian ancient literature which contains how to build the homes with salient principles. Now we will check one example below. Observe the house in a compound premises. The house was constructed towards North direction and more open space towards South side, this leads to ill-health and money loss. Sometimes unexpected negative results may also happens. Please note that we kept in our mind that this home is in India, not in any other parts of the world. Because some rules are not working in other countries. For example in Norway more space towards West is considered to be a good home for them. They likes the homes which has more open space at West direction, in such scenario, the more open space towards West won't giving bad results. Observe this home, this home has Northwest extension, extension towards Northwest is not recommended always. With or without knowledge somebody extending their homes towards Northwest direction. This may cause many disturbances in life, for example: leads to lost of mental peace, increasing debts, money lost, litigation, fear of creditors and close friends may become enemies in future. That is why we should not extended our properties towards Northwest side. If this same resident approached one expert consultant before doing this correction, then he will be rightly advised and will be saved then. We always recommending residents before doing any correction to the home, best to show that home and thereafter do the corrections after obtaining right decision from experts. 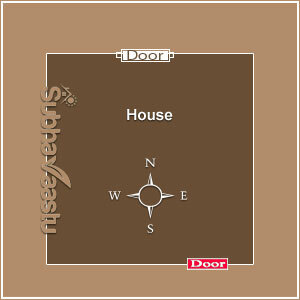 In this home there is one North door and one Southeast South door were placed. Generally the North main door is not evil. On the same way Southeast-south door is also not bad. What is the problem here if both doors are good. Let us discuss on this home. If there is North door and there is Southeast-south door in a home, then there is huge changes like Northwest to Southeast walks. This is called as Agneya (Southeast) Vayavya (Northwest) walks. Where there is Agneya and Vayavya walks then there is a possibility in getting unnecessary quarrels in the home or outside, heavy expenditures, business loss, partnership problems in the business, strain in works etc may be common. Vasthu Shastra is an ocean, we cannot know everything after reading two or three books or reading some websites information, this subject has to come from one vastu master. It is a depth subject. One cannot understand everything by reading books or websites. This above content is the best example for us to notice that we should not do any practicals in the home without experts advise. Many residents thought that Northeast block is very good and no need to take experts advise, but there may be many negative effects for these properties in our observations. Not only this small defect, there is many other issues were possible in this same home, in our continuation of speaking out of another example is, if there is Northeast cut or truncated in the home for this same North block property then there may not be male progeny or if the residents has male progeny then progeny may be mentally or physically unbalanced. Please note that this could happen only in certain places not in entire countries for example in USA this truncation is not giving "too" bad results what we discussed in this link. Without knowing the country and home structure we should speak all these points loudly. Fate, what is its effects on Humans? What happens if I place my head towards West direction? Ramesh wish to buy a property in USA, is Vastu Works in USA? 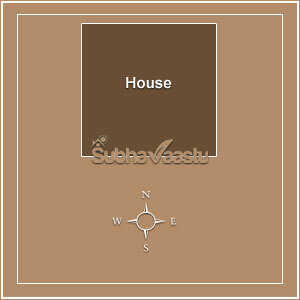 Where can I get Vastu shastra House/ residential property Plans? My doctor uncle wish to buy a home in UK, is vastu works in Britain? What is street Focus properties and their effects and different road thrusts? I would like to Extend my plot towards South, some says it is bad idea, is it? Viswanath wish to buy a factory which has Southwest Street Focus, is it good? Maruthi doing trading business, how to get handsome profits if he follows vastu? In my Mumbai office which direction is best to sit and MD room etc, I require full info? Neighbors hotel is running good, my hotel is very dull, if I follow vastu, is it good then? I found a plot for new house construction, which has Northwest road focus, can I buy it? 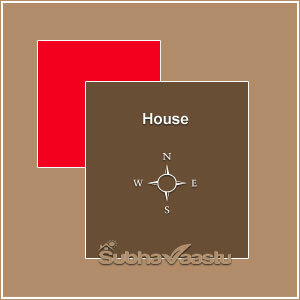 Some vastu people says West road focus home is not good, require help to understand?